The patented Leaf Relief Continuous Hanging System with Access Panel strengthens your gutters by supporting them from front to back and end to end. 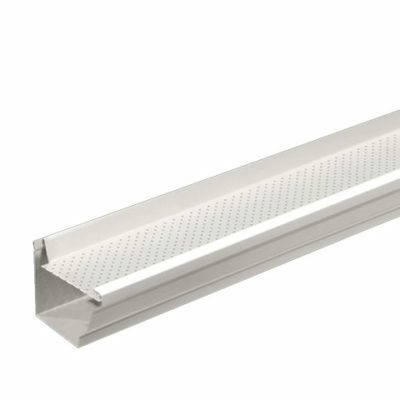 This protects them from common gutter system damage like ladder crush, ice or snow load and warping. It also keeps leaves and debris from entering and blocking your gutters Now you can keep a close eye on them through our new Access Panel. It’s simply a smarter, stronger solution! Made of heavy-duty aluminum, Leaf Logic keeps debris out of your gutters and water flowing toward the downspouts. 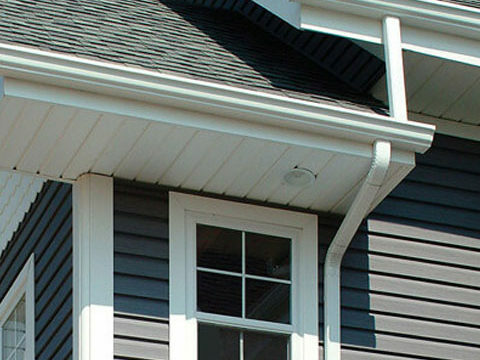 The strongest gutter system available for residential construction, Sectional Gutters are made from the highest quality aluminum.